She's a sweet little fairy robot. 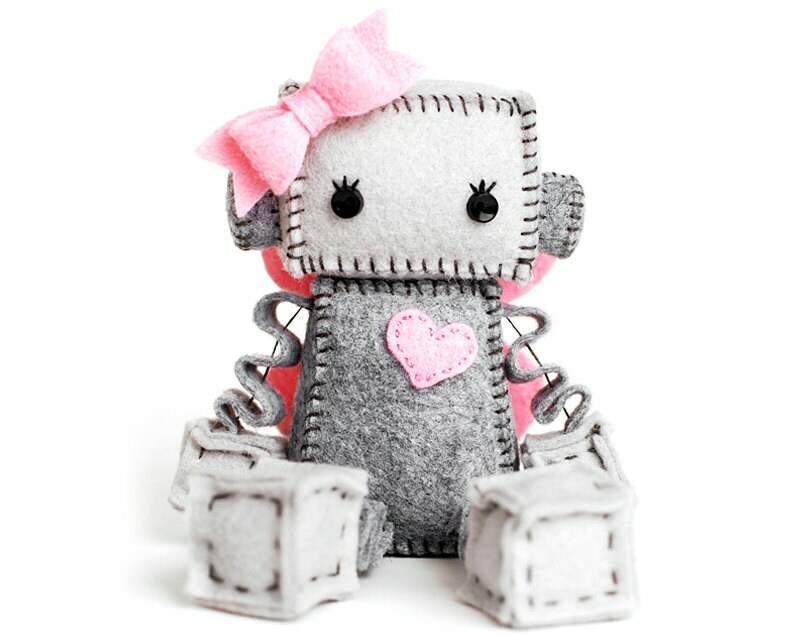 This robot has a pink heart and bow and pink wings with embroidered detail. Robot is about 4 inches tall sitting, not including bow. It is made of premium wool felt, cotton embroidery floss and little plastic buttons for eyes. Absolutely adorable. I love these little robots. Beautifully done, well packaged. I highly recommend this artist.